What? What??? Really? No current practice designed to improve care for dying Americans is backed by a fraction of the evidence to approve a drug? Are you kidding me? What about palliative care? This is the second sentence of a NEJM article that was published today. While the intention of the article is actually good (more research is important in end of life care) the article completely misses the significant advances in palliative care over the last decade. I’m still digesting this article and its key point that we should treat end-of-life care as we treat a drug approval process. While it makes a nice pithy statement, it misses points such as palliative care research is funded at a miniscule fraction that we fund research in other areas (Palliative care receives 0.01% of the National Institutes of Health budget). Please read the article and let me know your thoughts. Anyone else disturbed by the message (I know I shouldn't write when emotional so I may just be missing something here). Temel JS, Greer JA, Muzikansky A, et al. Early palliative care for patients with metastatic non-small-cell lung cancer. The New England journal of medicine 2010;363:733-42. Zimmermann C, Swami N, Krzyzanowska M, et al. Early palliative care for patients with advanced cancer: a cluster-randomised controlled trial. Lancet 2014;383:1721-30. Bakitas M, Tosteson T, Lyons K, Dragnec K, Hegel M, Azuero A. Early Versus Delayed Initiation of Concurrent Palliative Oncology Care: Patient Outcomes in the ENABLE III Randomized Controlled Trial. J Clin Oncol 2015;33. So glad you wrote this, so i know I'm not the only one. I have a draft in my head for Pallimed right now since I saw this last night. Really surprised at the pretty negative start to the article. Will felsh out my points more in a longer post, but the tone seems off to me. Althought I do care about the evidence for drugs, I feel it's a bit of a tu qouque argument (because we know evidence on drugs isn't always what we want it to be). Factually, the statement is indeed wrong, because he used the word 'NO policy' and not something like 'few policies'. (why is beyond me, because even I knew about the small cell lungcancer trial for instance) Yes, the evidence is growing, but his examples about some big, non-EBP policies do present problematic policies too in my opinion. Perhaps the article doesn't shine with elegance, but if there's one thing it succeeds in, it is getting people to talk about the issue. Hopefully those people are able to talk about the bigger picture (like the mentioned budget on research) and not to get lost in the wrongfull use of one word (albeit it a bit dumb error). 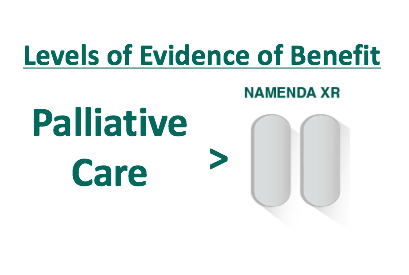 I appreciate the attention given to the article, and I agree that the evidence basis for outpatient palliative care is the shining star in the EOL world. But even there, it's pretty meager. The 3 trials Eric cites enrolled fewer than 1,000 patients combined, and the latter 2 trials were negative on their primary endpoints. This is fully consistent with my point later in the article that although there have been some RCTs in the space, most have been negative, and the few that have been positive have been small and largely conducted in academic centers. The point is well taken that the evidence base for some FDA-approved drugs isn't all that great either, and perhaps I should have been a bit more careful with some language subtleties. But I don't think there's any reasonable debate about the central point that we know rather little about the population-level effectiveness of outpatient palliative care, and considerably less about all other EOL practices and policies (including inpatient palliative care, where most of the palliative care money goes). The article, motivated by the CMS reimbursement decision which has no evidence to back it at all, specifically says that we should not stop doing what we're doing. I believe in palliative care as much as anyone, and hope no one reads this and concludes that we should get rid of it (I doubt anyone would). The point is that we cannot become complacent with the little we know, lest the current enthusiasm in policy circles dies due to lack of clear return on investment. Up here, north of Boston and south of Dartmouth, we're in an early virus season challenge that resulted in several pneumonias among my 100 guests with dementia and related disorders. 97 got flu shots, by the way. Three hospitalizations were successful allopathicly and palliative/ hospice consults were done at the bedside so the choices may be differently informed for the next episodes. This is dramatic progress for which statistical significance is unnecessary. I actually think it is a great and helpful article that Scott Halpern wrote. We need MUCH better evidence than we have. One thing we have not done well as a palliative care field is articulate the theoretical foundation behind the work we do. We think if we focus on outcomes, then we will "prove" that what we've done is successful. But take Jen Temel's excellent RCT for example, she had an amazing outcome (mortality) but then when people ask what was "in the syringe" - we still debate. Because the theory on why palliative care might help was not articulated a priori, we as a field have trouble replicating those findings. I agree that Scott's FDA comparison was not great but it looks like he agrees. Palliative care is certainly better than much of the crap that gets through the FDA. As far as John Hopikins point above that anecdotal evidence is all we need...um...it's no wonder we will have trouble convincing some people that we add value. We have to let that view go or we will remain stagnant at best and we will be undermined at worst. Please take Scott's point for what it is...a very good one. Thanks for your comments. Looks like we all agree on the key point that more research (and more funding) should be focused on palliative and end-of-life care. That is something I would never argue against. It also looks like we agree that the FDA comparison was faulty, although I understand to get into the NEJM, having a sensational or provocative first paragraph is helpful (same applies to a blog post). I wouldn't say just some though. One just has to look at the "me too" drugs that are the majority of approved drugs and some of the most heavily promoted. These drugs don't need to show additional benefit, rather they need to show similar effectiveness. Take a look at these approved me too's: omeprazole to esomeprazole, albuterol to levalbuterol, aricept to aricept 23. Indeed Aricept 23 was approved by a single trial of 1400 people (not many more subjects than the 3 trials that I cited) that failed to demonstrate any additional benefit in daily functioning but found a substantially greater risk of harms from the higher dose including nausea and vomiting, diarrhea, and anorexia. What happened? Still approved. Also, one can take a look at cancer therapeutics to realize that lack of evidence for population-level effectiveness or even a small number of individuals studied doesn't mean a drug wont be approved. Just take a look at Sonidegib (1 study - a little over 200 patients). What was the outcome of interest: primary endpoint was objective response rate, which is the percentage of patients who experienced partial shrinkage or complete disappearance of their tumor (mostly the former). So what would it look like if we applied the same FDA standard to something like POLST? I think you can argue it is a "me too" drug to the traditional "out of hospital DNR form." So using this analogy, one would just need to prove that it is just as good as a "out of hospital DNR form". That shouldn't be a high hurdle given that was never studied. So with that said, yes we all agree more research (and funding) would be great. But please don't make it look like the FDA approval process. 1. The actual number of participants in the 7 RCTs in the ASCO provisional statement and the 2 published since then is 2624 patients! Way more than was needed for drug approvals. 2. Survival in the Bakitas et al JCO study WAS a primary outcome. As was caregiver burden, quality of life, and depression. All of which were improved with earlier vs later palliative care. The so-called "negative" results (pt QOL, symptom burden, mood) occurred between two groups of patients--all of whom received palliative care - one earlier and one later. One might more accurately label this non-inferiority in the patient reported outcomes; many will be satisfied with longer life with equally high quality, less depression, etc. and improved caregiver outcomes. 3. I would not advocate (inflict) the 'imperfect' (polite word choice) FDA drug approval process on palliative care. We can do way better than that. I look forward to meeting Dr. Halpern in person next week and a lively discourse at the National Palliative Care Research Center retreat, to discuss potential solutions to improve the entirety of time one lives with chronic illness and not just the end of life which is not the only target of palliative care. It's so great that you're bringing this up. Sometimes people opt for crazy end of life care when they'd have a far better quality of life if they (and their families) better understood palliative and hospice care solutions. Here's a down and dirty article helping to outline just those solutions.